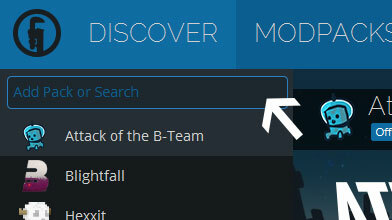 Type in the modpack name (The Lost Islands) or paste the following url into the search box. Finally, click Install at the bottom right of the launcher after you select The Lost Islands from the list on the left. The launcher will handle everything else! Thank you for all your support throughout the years! Floating islands with a twist! This modpack has industrial/technical mods as well as visual mods to make your floating island as nice as it is high tech. Compete with your fellow players to own the top island or be the richest player! Copy server API key on the top of this page, listed under "Install this modpack"
Open Technic Launcher and hit the "Modpacks" button on the top of the page. Click into the search bar and hit "CTRL + V" to paste the api key into the search bar. 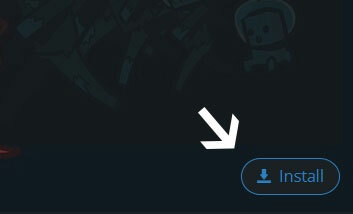 On the bottom right of that page hit the "install" button. Once the download is complete, our server ip is already in the favorites list, so you will be ready to play.